What could be more painful than craving for sweets but not getting any? Right? Cold weather really makes me like this. So now I want Easter candy and chocolates. Or anything sweet, just really. It seems to be the result of me missing someone too. And well, thinking of many thoughts and ideas. 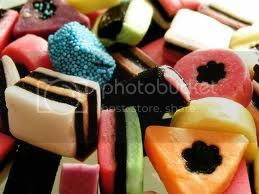 I can’t take it anymore :-S I want some sweets! Posted in Food and tagged sweets.